My mother recently went on a trip to Costa Rica and brought back a wealth of pictures. 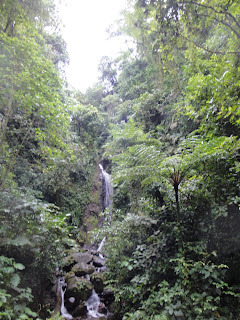 The following are pictures that I thought were beautiful and interesting. 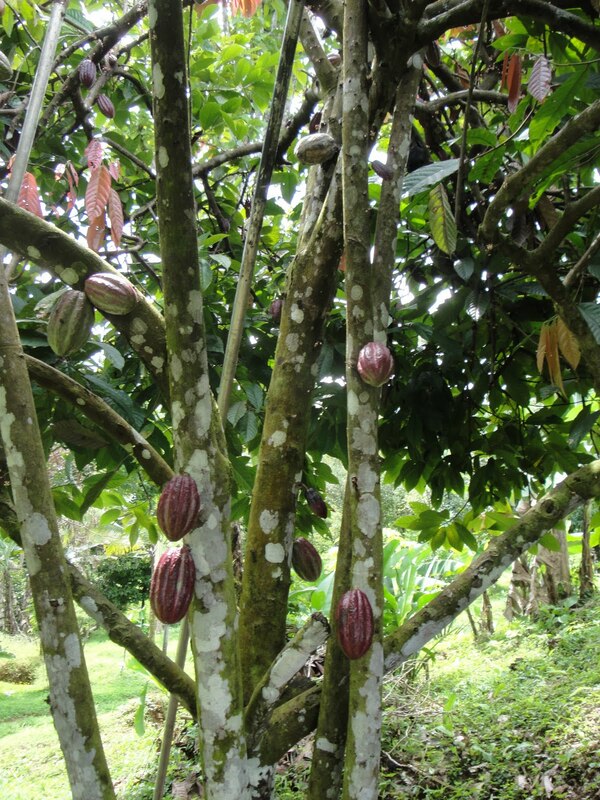 This is a picture of a Cacao tree (Theobroma cacao). The pods have a range of colors, these purple pods aren't quite ripe yet. 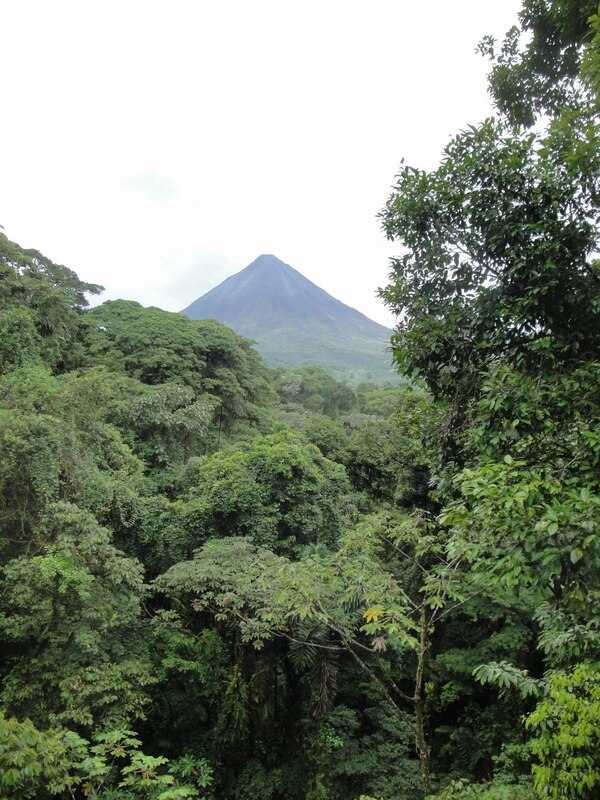 The Cacao pods are the source of chocolate. 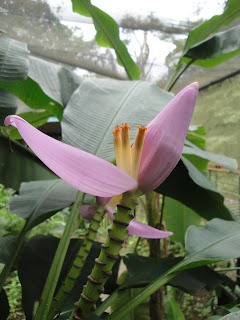 Bananas are grown all over central and south America, but few are grown for their ornamental value, like this pink banana flower. 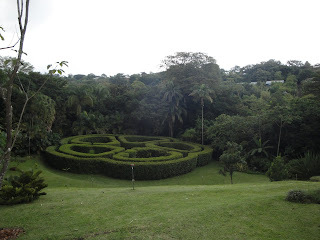 This is a picture from the Else Kientzler Botanical Gardens in Sarchi Norte, Costa Rica. 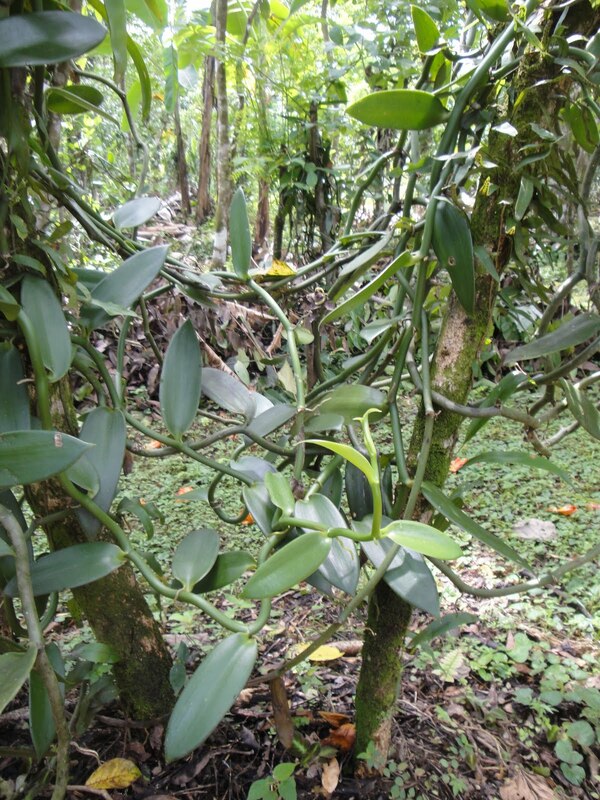 This is a vanilla orchid vining around two host trees. Typically vanilla farmers cultivate it on host trees that give shade and height allowing the vanilla to climb and flourish. 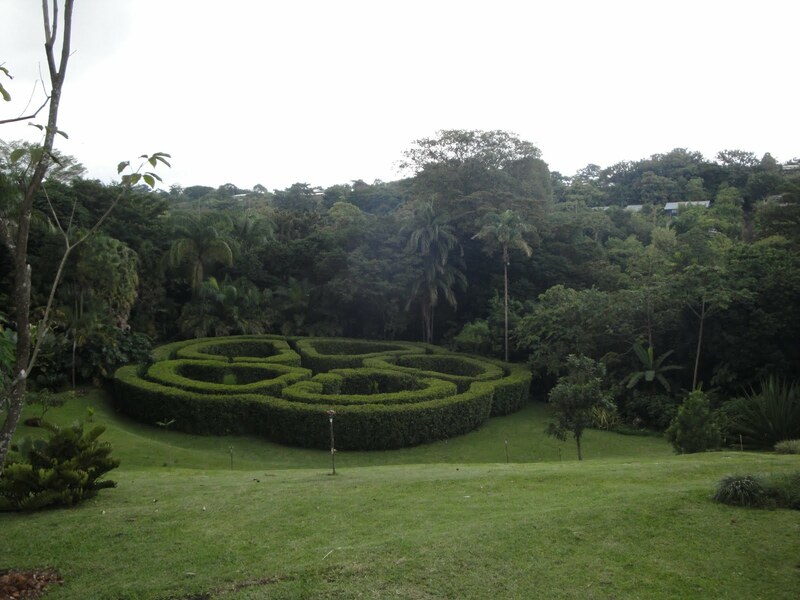 Ornamental plant farms are common in Costa Rica. 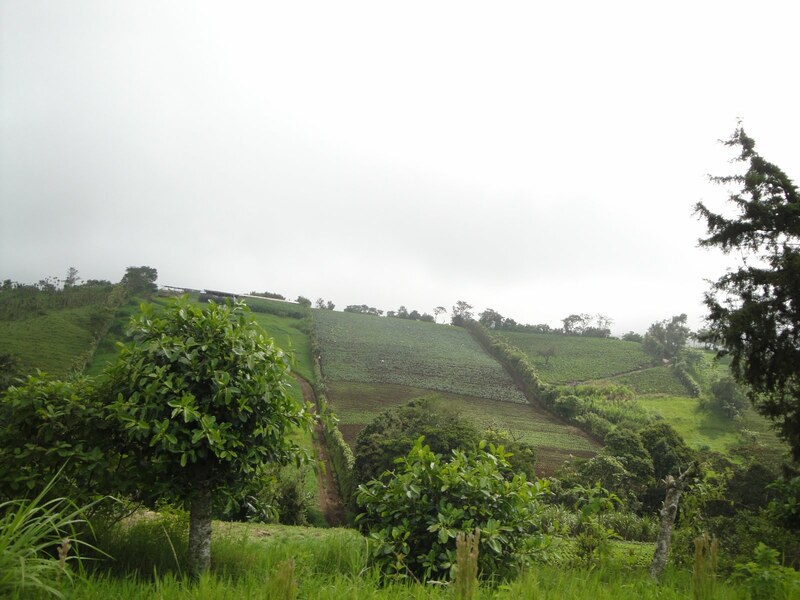 They grow plants for genetic research for the creation of new ornamentals, and they grow ornamentals for export. This farm uses a type of terracing to allow for maximum land usage and reduced erosion. 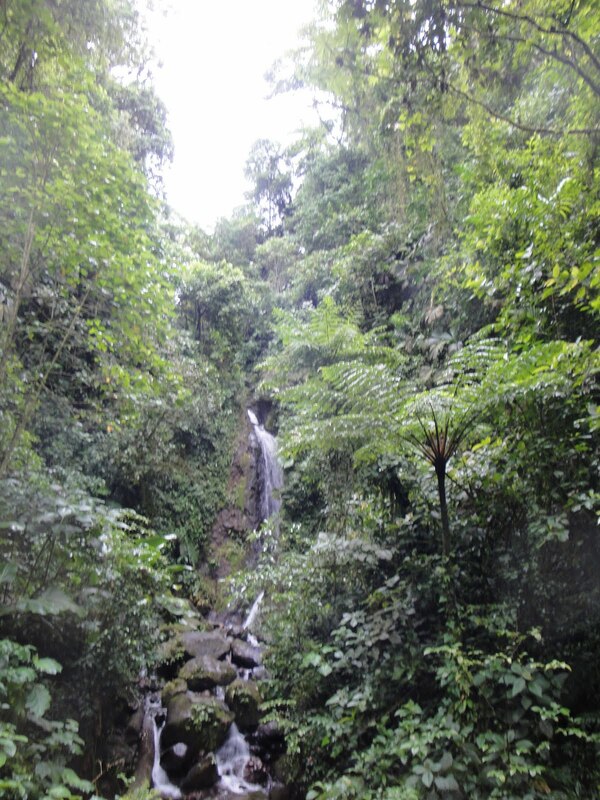 Scenic waterfalls like this are abundant in the dense mountain forests. 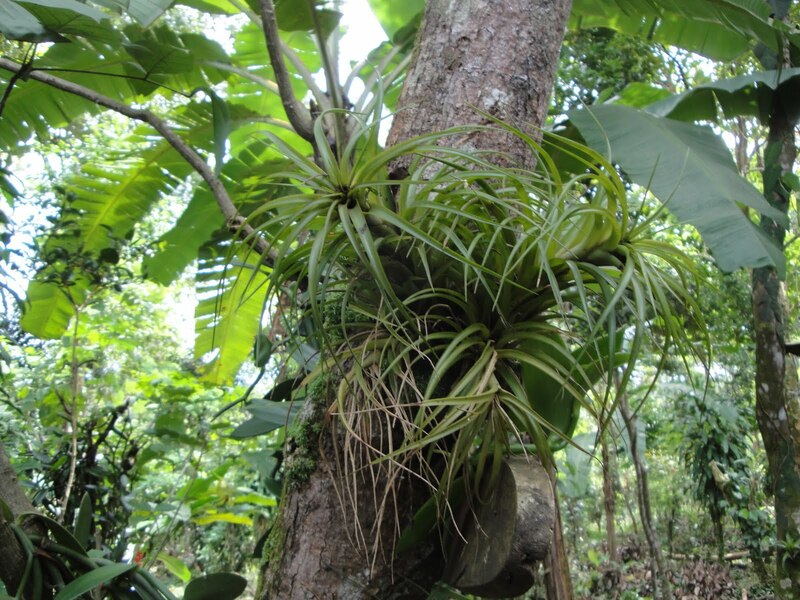 Due to high humidity and warm conditions epiphites like these grow on nearly every tree.